Older Inventory – PRELUDIO for Ice (35) – Skates U.S. 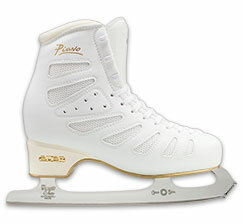 The EDEA Preludio is the Beginning Basic Skills and Competitive Skating Boot. Ultra Light Soft Construction with Beautiful Leather finish outside and perforated MicroFibre Lining. The Preludio is made with Revolutionary NEW Ultra Lightweight Materials which means that the Preludio is 25% to 45% lighter than comparable Skating Boots. Available from SkatesUS.com, the Preludio is designed for the Beginning Competitive Roller FreeStyle and Figure Skater and is incredibly comfortable. The MicroPerforated MicroFibre Lining is ventilated so the perspiration moisture dries quickly. The Anatomically Shaped Padding and Formed fit of the boot is shaped by the Thermoformable Structure and provides the best in foot contact and control while giving the movement range to allow Great Performances. Other features are the Rounded Heel Shape which more evenly distributes the weight and adds torsional stability, the Full Wrapped Padding, the Shaped Extra Padded Tongue, and the Sewn in strong forged long Hooks. The Footbed has Ventilation (for Roller) and is torsionally rigid but with just a bit of vertical compression, that creates a lower center of gravity in the Skate, that creates a lower displacement which greatly increasing stability and control. In most cases the Break-In period is just a few hours, not days, weeks, or Months, but the most important Features are how LIGHT and COMFORTABLE the EDEA Preludio is. The Sizing of EDEA Skates is very consistent for each size and between models. 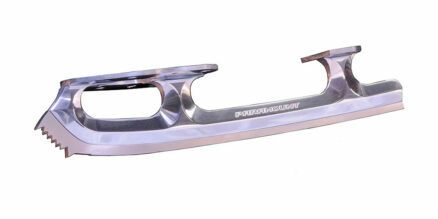 Frame sizing of blades to EDEA SkatesUS.com is the number one expert at mounting the Blades of your choice. 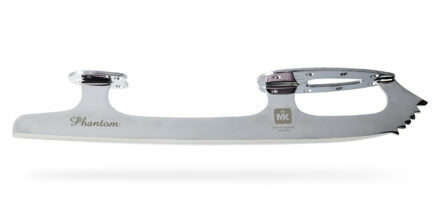 The Sizing and Mounting information is in the Learning Center on SkatesUS.com. EDEA Skates fit a great majority of Skaters (because of the newly designed shoe lasts), right out of the box, but some have need of special accommodations to give that perfect fit. 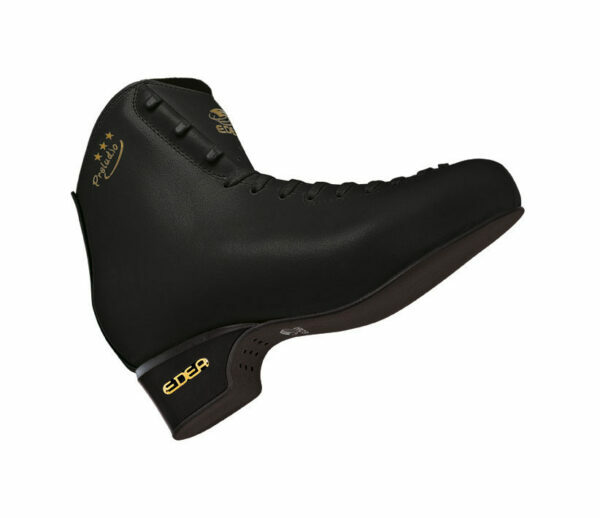 EDEA Skates ALL have a Thermoformable Structure which allows manipulation of the boot to give the perfect Custom fit without the Custom price . EDEA Skates use a special Memory Foam (like on your matress) and DO NOT use gel packs or standard foam that are heated in an oven, then the foot inserted to shape the inside padding of the boot only, this method allows change and movement of the old style padding over time, which is not a good thing. 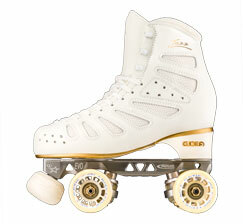 EDEA Skates DO use very high tech materials (similar to a carbon fiber or Kevlar material) which can be shaped using Heat Guns and Special Shoe Lasts, in very specific locations or general widening or narrowing of the Skating Boot. This “Shaping” is actually changing the Structural Shape of the Skate. Once the boot is “Shaped”, it will stay in that shape, until the “Shaping” process is changed again. SkatesUS.com provides this very special Custom Fitting service. SkatesUS.com is providing the opportunity to have a completed EDEA Skate Outfit including the top Blades appropriately used at this level. All of these Custom High Level EDEA Skate Outfits will take about one week, as not all Blades are always in stock. It is highly recommended to use this time make sure that the fit of the EDEA Skate is proper prior to any Mounting of the Blade or “Shaping” of the Boot. When the EDEA Skate Outfit is paid for, SkatesUS.com will ship the EDEA Skates to verify the correct size and then we will cover the cost of the return shipping after trying on the EDEA Skates prior to mounting the Blades and complete the very high level, high performance EDEA Skate Outfit. For more details on this service see the SkatesUS.com Boot Sizing Policy, (which is only valid in the United States). 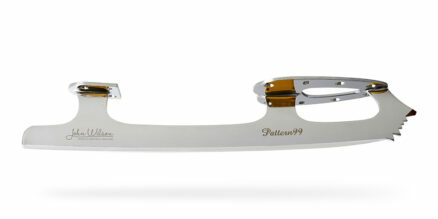 Once the Blades are Mounted or the Boot is “Shaped”, the Skates are no longer considered New and CANNOT be Returned. All International orders are final, once paid for and shipped. If the EDEA Skates are still New in the original box, they are exchangeable for size changes. Please be sure of the Sizing prior to any Blade Mounting or Boot “Shaping”. The list below will show the best possible choices. SkatesUS.com is also providing (if selected) the custom Mounting Services to complete your very high level, high performance EDEA Skate Outfit. We will complete a standard Temporary (Slots) Blade Mount based on the normal Center of Balance. In many cases when making a purchase of this type it is desirable to speak to a knowledgeable person. Please feel free to contact us at OrderDesk@SkatesUS.com or at (765) 935-7477. We will be glad to work with you and work out the details.